Printed goods for your wedding are an excellent way to express your personality and style as a couple. 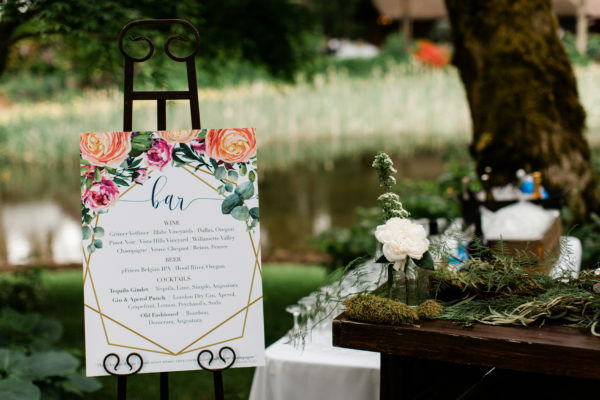 Working with a designer will help you create a cohesive vision that you are able to see from your save the dates, to invitations, to signage and menus! 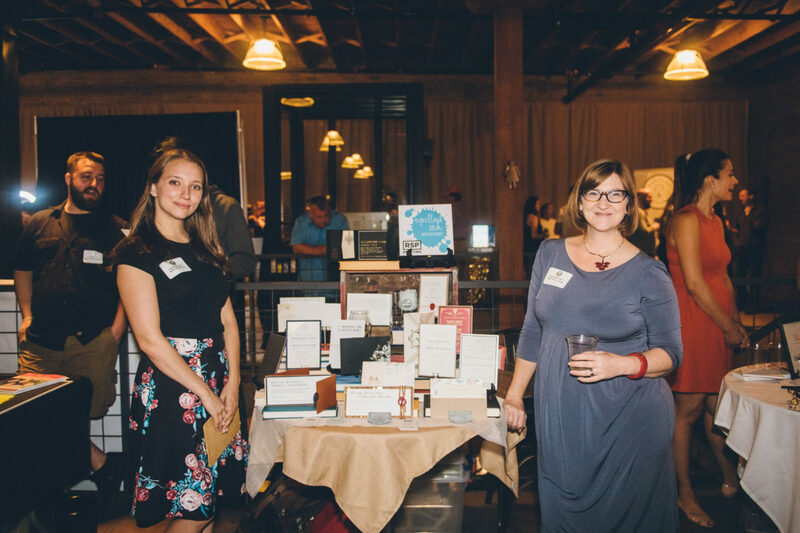 The husband and wife team of Spilled Ink Press are former architects now designing “invitation architecture.” Explore tons of paper awesomeness from Spilled Ink Press below and then visit them at Chicago Wedtoberfest by getting your tickets here! We had a lot of fun creating graphics and invitations for the best friend of a friend of Spilled Ink. 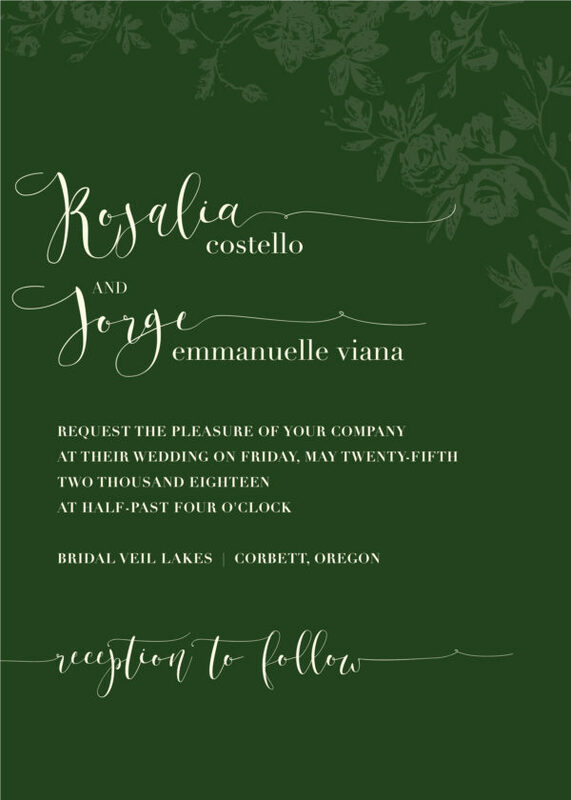 She got married in Oregon and wanted simple invitations that reflect their easy going and bohemian personal style. 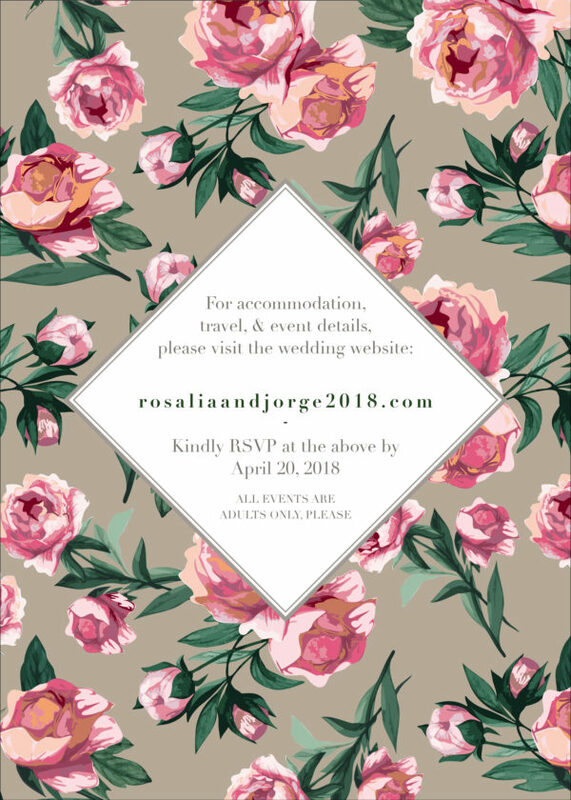 We made a one piece invitation with a beautiful rose gloss print detail and then an eclectic rose pattern on the back. For the day of, she and her now-husband wanted signage with two bears on it. 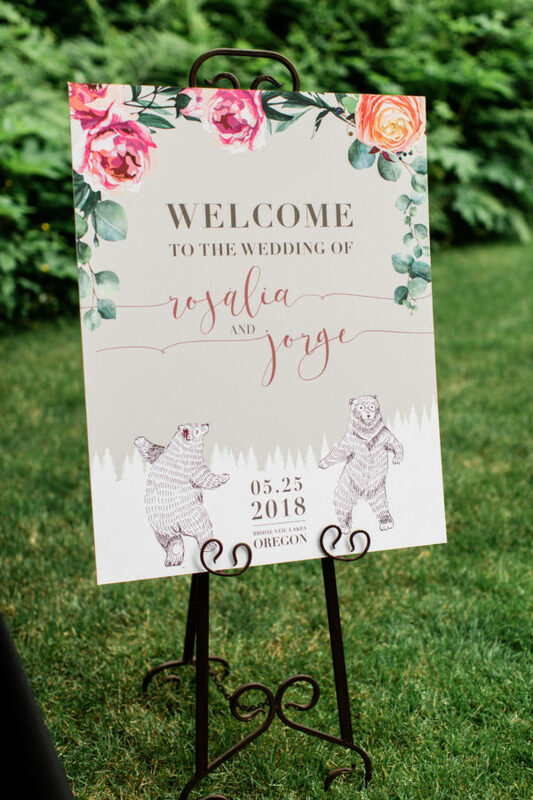 We created fun “dancing bears” for them for their large signage and everyone loved it! 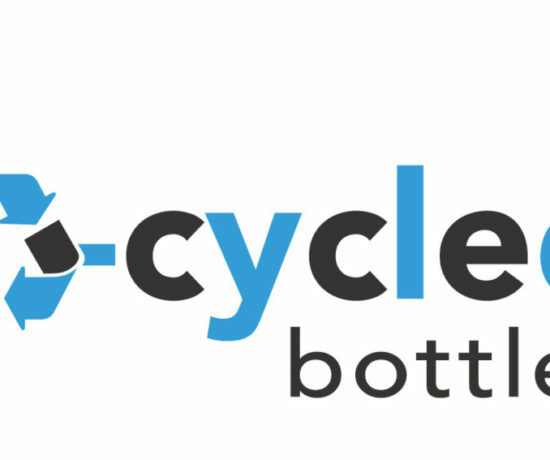 Spilled Ink Press is consistently creating unique and inspiring designs. Is there a recent piece of work that you are really proud of and we should be keeping our eyes out for? We recently created a really interesting invitation for a wedding planner friend. The main piece was printed on a 5×7 piece of acrylic. 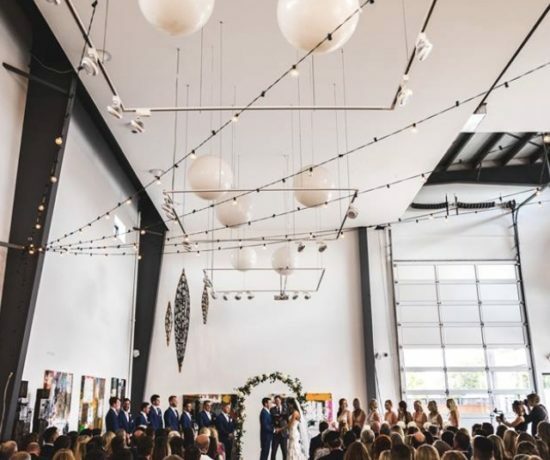 The bride wanted the invitation to be something artistic and different that she could frame, so it designed itself to be a love note that the groom wrote the bride when their relationship just started to get serious- then with the simple wedding details under that. 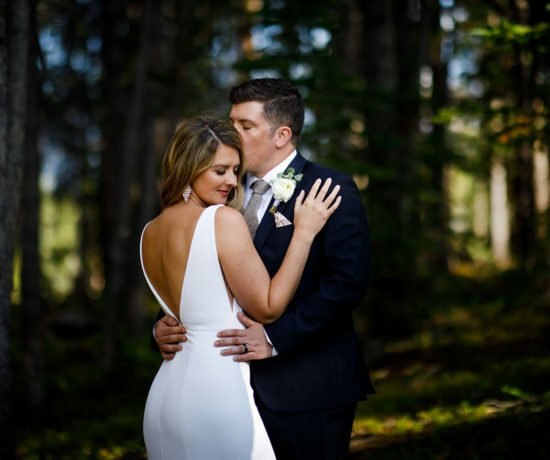 I was proud of it because it was just so different and a beautiful, expression of honesty between the couple. What else should couples attending Wedtoberfest know about Spilled Ink Press? We’re proud members of the Green Wedding Alliance. 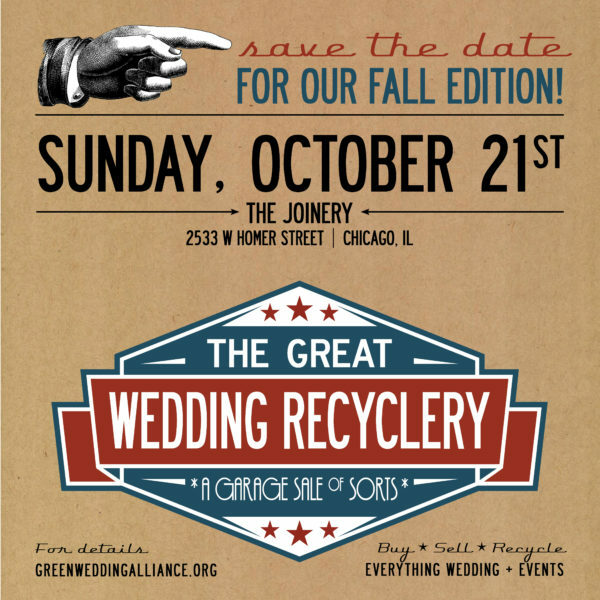 We are helping with the fall edition of their annual Great Wedding Recyclery- basically a big garage sale specifically for couples and vendors to up-cycle their wedding items! It’s super fun, see the save the date below! 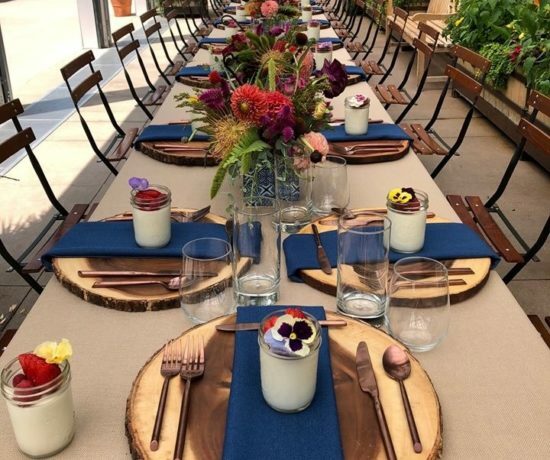 Remember, Chicago Wedtoberfest is right around the corner on Thursday, October 4th at Artifact Events! 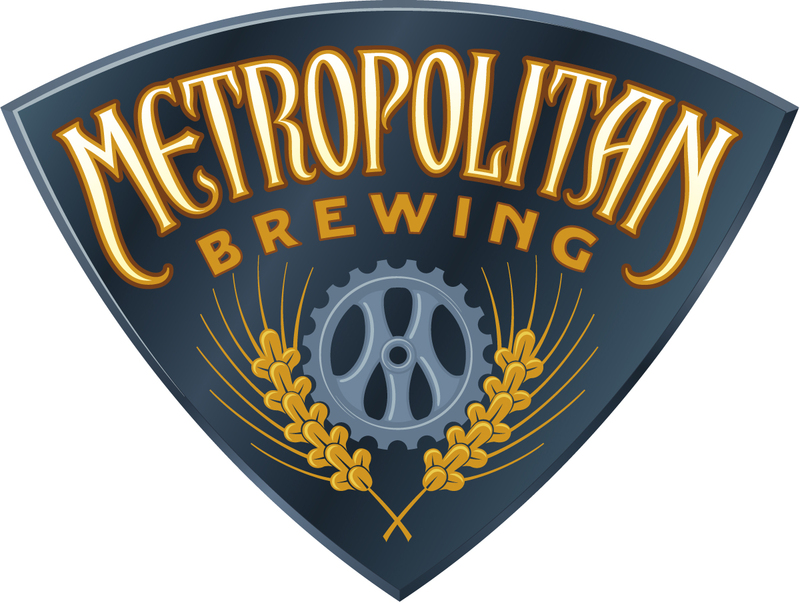 Make sure to grab your tickets now before this wedding show-meets-beer festival passes you by!